118 pages | 23 B/W Illus. This book analyses North Korean foreign policy since 1994, aiming to better understand the part the DPRK plays in international politics. Pyongyang is the country’s capital and largest city. To the north and northwest, the country is bordered by China and by Russia along the Amnok and Tumen rivers; it is bordered to the south by South Korea, with the heavily fortified Korean Demilitarized Zone separating the two. Nevertheless, North Korea, like its southern counterpart, claims to be the legitimate government of the entire peninsula and adjacent islands. Both North Korea and South Korea became members of the UN in 1991. 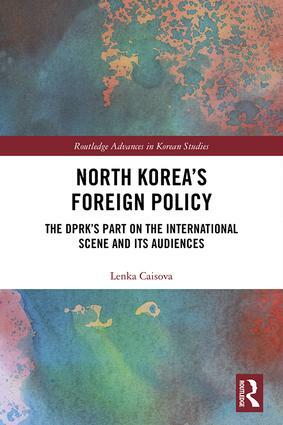 Applying the role theoretical approach to North Korea for the first time, this book charts the continuities and changes in North Korean foreign policy, drawing on content analysis of North Korean periodicals. It begins with an identification of roles, before analysing the relationship between these roles and foreign policy in practice. In particular, it examines the links between role shifts and changes in interaction with the U.S. and South Korea. This book also demonstrates that the existence of pressure, sanctions and confrontations have contributed to a confrontational, isolationist and inward-looking foreign policy. Therefore, it argues, one should be aware that if the DPRK is constantly treated as if it is a nuclear state – and even a rogue state – it is much easier for it to enact a role on the international stage which reflects this. As a study of the foreign policy of the world’s most controversial and secretive country, this book will be invaluable to students and scholars of Korean politics and international relations, as well as Asian Studies more generally. 6. Conclusion: How Do the Roles Matter? Lenka Caisova is research fellow in the Department of Politics and International Relations at the University of West Bohemia, Czech Republic. Her research interests include North Korean politics and foreign relations.